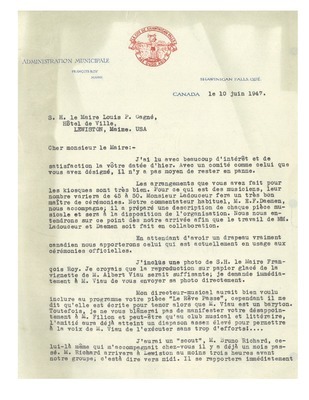 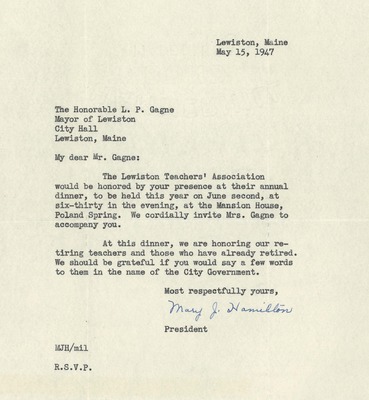 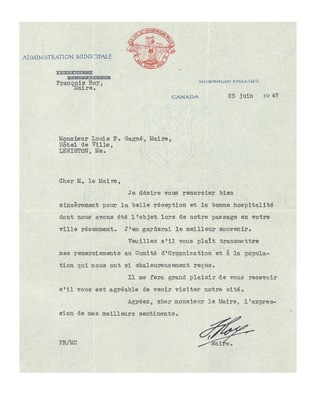 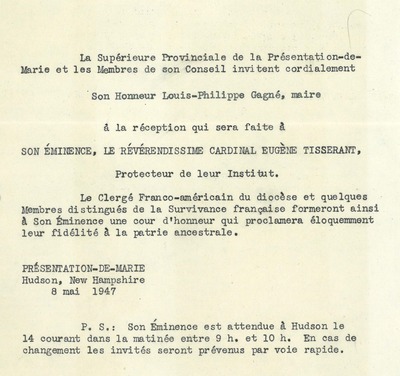 June 24, 1947, letter from Maurice Coutu, Second Treasurer of L'Union Musicale de Shawinigan Falls, Québec, to Louis-Philippe Gagné. 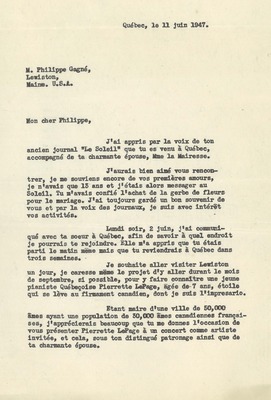 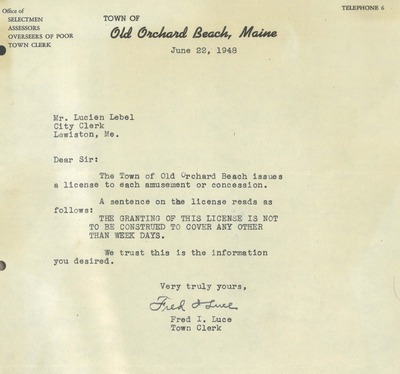 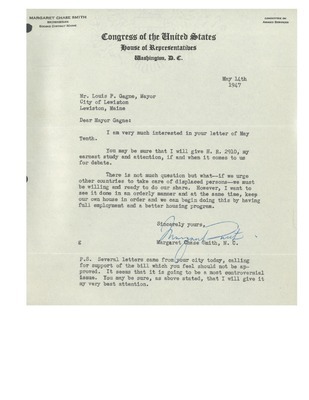 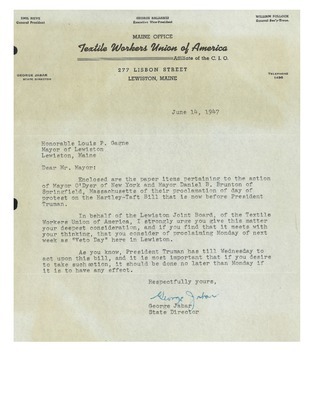 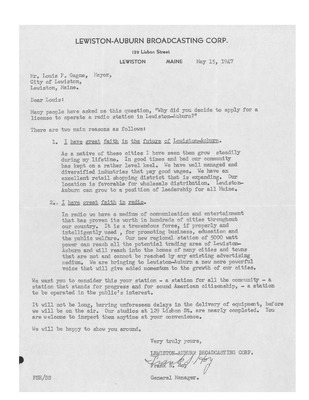 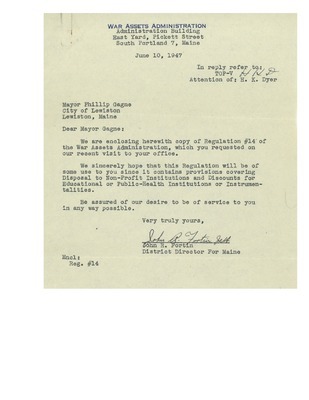 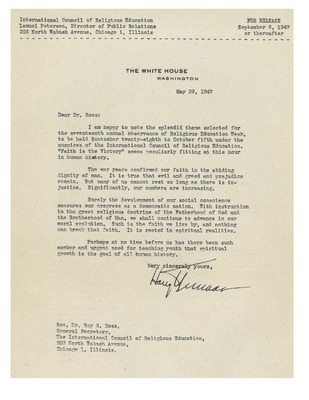 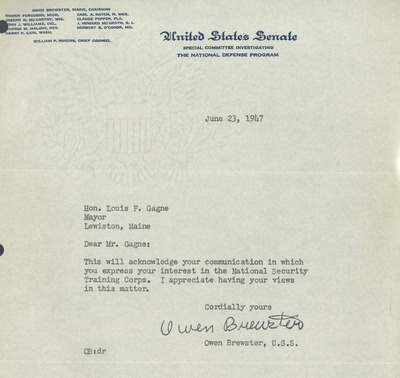 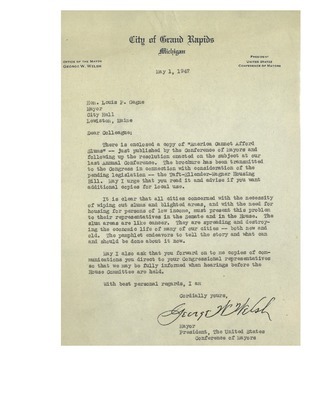 June 10, 1947, letter from John R.Fortin, District Director of the Maine War Assets Administration, to Louis-Philippe Gagné. 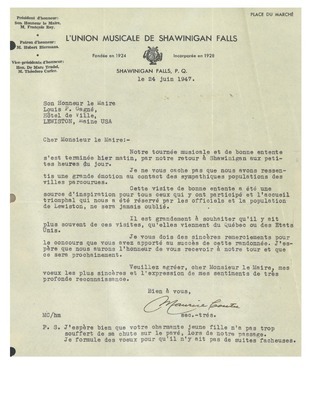 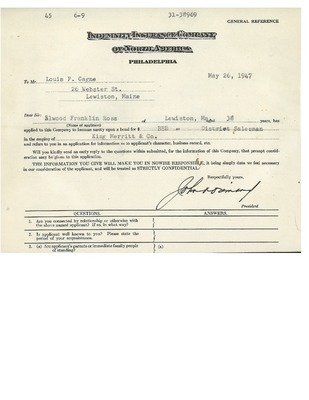 March 26, 1947, application for Indemnity Insurance Company of North America; addressed to Louis-Philippe Gagné, applicant is Elwood Franklin Ross.